Found 32 file extension associations related to Bio-Formats and 7 file formats developed specifically for use with Bio-Formats. 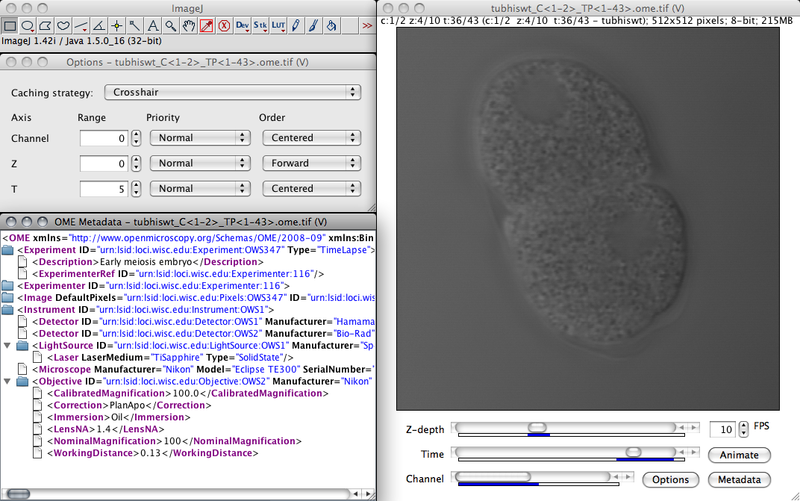 Bio-Formats 5 improves support for High Content Screening, time lapse imaging, digital pathology and other complex multidimensional image formats, reading and converting over 130 file formats to the OME-TIFF data standard. If you need more information please contact the developers of Bio-Formats (University of Dundee & Open Microscopy Environment), or check out their product website.